The fashion world is buzzing with excitment as the Spring/Summer 2014 collections for Mercedes-Benz and New York Fashion Week have officially started this week! All of the hottest names in fashion will be showing their lastest collections for the biggest and brightest editors, buyers, bloggers and photographers to see and critique. While most people will be focused on the clothes, I am going to be hunting for gold, gold and more gold! Let's take a look at some of fashion weeks golden moments from the past as I prep to hit the tents and the streets in search of gold! Barbara's girls looked so gorge in Hilat that I just had to show one more photo! This look is so delicious! You cannot talk fashion shows, runways and gold without talking about one of the hottest gold runways in fashion history! I am talking about Carine Roitfeld's Ultimate Gold Collection in Cannes! Every runway should be filled with gold just like this! It makes the clothes pop and and an extra bit of lux! 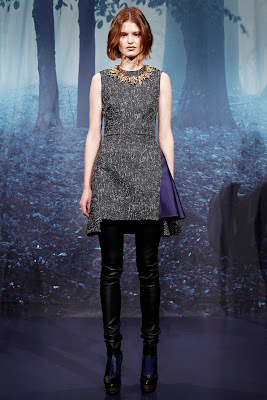 Adeam showed some strong gold pieces that were shaped like small antlers at Mercedes-Benz Fashion Week for Fall 2013. These peices are so fashion forward. You can always count on DVF to steal the fashion week spotlight and to use amazing accesories like this gold chain bracelet. I love that DVF is a fan of gold! 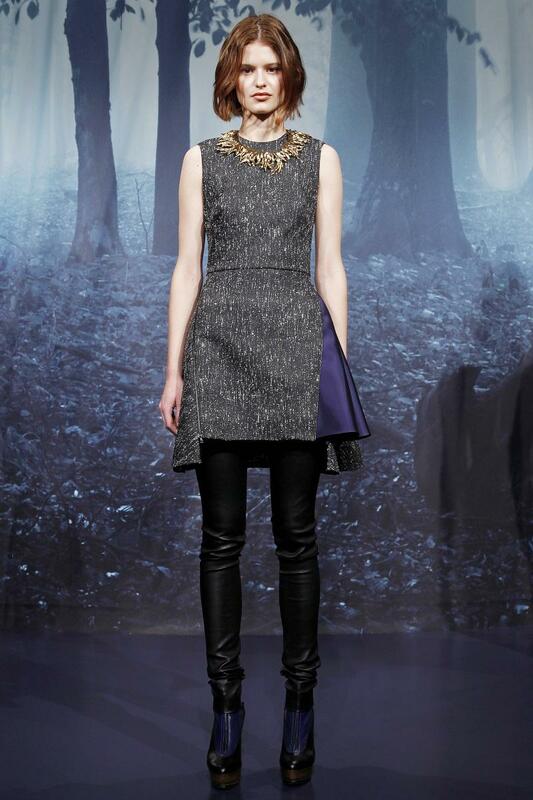 When people want fashion with a bit of an edge they turn to designers like Thakoon. His Tasaki by Thakoon earrings were super edgy and fun designed in yellow gold with yellow sapphire, hauynite and alexandrite, and white gold with freshwater pearls, diamonds and grey diamonds. 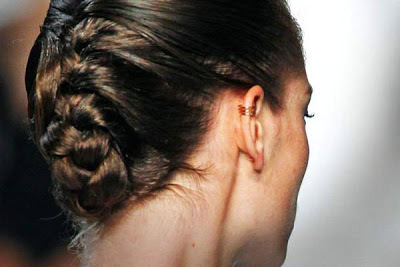 I am predicting that we will see a lot more ear cuffs for Spring 2014! Speaking of ear cuffs, how good were these gold ear cuffs that Jason Wu designed for BRVTVS for his Spring 2013 collection? Now that we took a look at last seasons golden goodies, I am pumped up and ready to go find more major gold moments for Spring 2014! Get ready guys and gals, it is going to be a glam one!